Jerry Alexander Ramos, a 25-year-old Latino, was shot and killed Sunday, Oct. 7, in the 1200 block of South Crenshaw Boulevard in Arlington Heights, according to Los Angeles County coroner’s records. Shortly after 8 p.m., Ramos was standing alone outside when he was shot, said Los Angeles Police Det. Sean Kinchla. Ramos was pronounced dead at the scene at 8:27 p.m., according to coroner’s records. Police believe that a person wearing dark clothing walked up to Ramos, shot him, then ran north, Kinchla said. Ramos had just gotten off work, police said. Anyone with information is asked to call (213) 382-9470. Those who wish to remain anonymous can call Crime Stoppers at (800) 222-8477. Wynborne Cunningham, a 26-year-old black man, was found stabbed to death Sunday, Dec. 10, in the 2000 block of South Arlington Street in Arlington Heights, according to Los Angeles County coroner’s records. On Wednesday, Dec. 6 between 7 and 10 p.m., Cunningham got into an argument with a cousin who had come to visit, which resulted in a stabbing inside the victim's apartment, said Los Angeles Police Lt. John Radtke. The suspect, later identified as Ethan Webber, a 24-year-old black man, then jumped from a window in the second-floor apartment and ran away, investigators said. On Dec. 10, an apartment manager discovered Cunningham’s body, police said. Authorities were called, and Cunningham was pronounced dead at the scene at 1:57 p.m., according to coroner’s records. Lucio Garcia, a 56-year-old Latino, was shot and killed Thursday, July 20, in the 1600 block of South Van Ness Avenue in Arlington Heights, according to Los Angeles County coroner’s records. At 12:43 a.m., Garcia was parking a dark-colored SUV when a man walked up and fired into the vehicle, Los Angeles Police Lt. John Radtke said. A 26-year-old woman who was in the SUV tried to move the vehicle after the shooting to get help, and when officers arrived, the vehicle was in the middle of the street. Garcia was pronounced dead at the scene at 1:06 a.m., according to coroner’s records. The female passenger was wounded in the shooting, but she is expected to survive, police said. Two children, ages 2 and 4, also were in the vehicle, but they were not injured. Darryl Eugene Brewer, a 63-year-old black male, died Wednesday, June 22, after sustaining blunt force trauma in Arlington Heights, according to Los Angeles County coroner's records. Carlos Davis Gregory, a 37-year-old Latino male, died Monday, Dec. 14, after being shot in Arlington Heights, according to Los Angeles County coroner's records. 1655 S. Van Ness Ave.
Landry L. Calhoun, a 43-year-old black man, was shot and killed Thursday, Dec. 18, in the 1600 block of South Van Ness Avenue in Arlington Heights, according to Los Angeles County coroner’s records. About 11:15 p.m., Los Angeles Police officers responded to several calls of shots fired in the area, according to a news release from the department. Officers found Calhoun on the sidewalk. Calhoun was pronounced dead at the scene at 11:35 p.m., according to coroner’s records. Detectives believe that Calhoun and another person were standing in front of an apartment complex when two men walked up and fired multiple rounds, striking Calhoun and the other person. Tristian Devon Johnson, a 22-year-old black man, was fatally shot Tuesday, Oct. 14, in the 2200 block of Eighth Avenue in Arlington Heights, according to police and Los Angeles County coroner’s records. Johnson was walking down the street about 9 p.m. when a person shot him, said LAPD Officer Jane Kim. The shooter was described as a black man between 18 and 20 who was wearing a black hoodie. Police believe he left the scene in a blue Jeep Cherokee. Johnson was taken to a hospital where he was pronounced dead at 9:20 p.m., said Ed Winter, assistant chief of investigations for the coroner’s office. Anyone with information is asked to call West Bureau Homicide at 213-382-9470. Those who wish to remain anonymous can call Crime Stoppers at (800) 222-8477. Daniel Sarinana Jr., a 32-year-old Latino man, was shot and killed Sunday, April 6, in the 3200 block of West Washington Boulevard in Arlington Heights, according to Los Angeles County coroner’s records. About 2:53 a.m. officers were flagged down by a man who directed them to Sarinana, who was on the sidewalk and had been shot near a closed elementary school, said Los Angeles Police Det. Steven Katz. Sarinana was pronounced dead at the scene at 3:20 a.m., said coroner’s spokesman Ed Winter. Police are looking for at least two Latinos, who fled in a white pickup truck with black trim on the bottom. Anyone with information is asked to call LAPD’s West Bureau Homicide Detectives at (213) 382-9470. Those who wish to remain anonymous can call Crime Stoppers at (800) 222-8477. Posted July 12, 2013, 12:55 p.m.
Dejon Willie Ward, a 21-year-old black man, was fatally wounded Friday, July 12, in the 4100 block of Venice Boulevard in Arlington Heights, according to Los Angeles County coroner’s records. 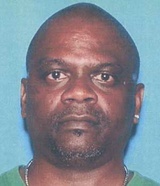 Ward, of Victorville, was lost in the area and pulled over near Venice and 12th Avenue to check for directions when he was approached by two people on each side of his car, said Los Angeles Police Det. Supervisor John Shafia. One of the men shot Ward, then both fled in a silver Nissan Armada SUV, Shafia said. "Any one of us could have been in his shoes by turning right instead of left," he said. 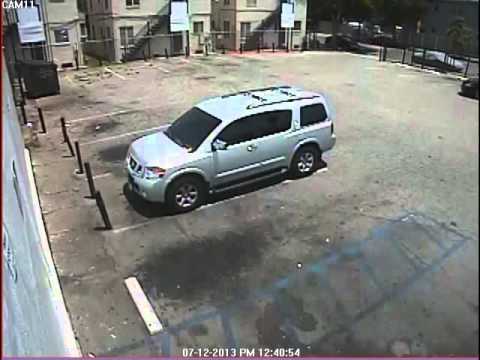 Detectives have released video showing the suspects leaving the scene. Ward died at 12:55 p.m. at the scene, according to coroner's records. George Ramos, a 36-year-old Latino, was fatally shot Monday, April 29, near the intersection of 23rd Street and 9th Avenue in Arlington Heights, according to Los Angeles County coroner's records. According to police, Ramos was shot several times about 4:16 a.m. and pronounced dead at the scene. Police are investigating the slaying as gang-related. Sarah Mae Baker, a 77-year-old black female, died Friday, June 22, in Arlington Heights, according to Los Angeles County coroner's records. Daniel Regalado, an 18-year-old Latino, was shot and killed Wednesday, June 20, in the 1500 block of South 6th Avenue in Arlington Heights, according to Los Angeles County coroner's records. The shooting was reported shortly after noon near the intersection of 6th Avenue and West Pico Boulevard, according to LAPD spokesman Bruce Borihahn. Wilshire Division patrol officers responded to a "shots heard" call. When they arrived, they found Regelado and Miguel Martinez, a 19-year-old Latino, suffering from gunshot wounds, Borihahn said. The two were taken to a hospital, where they later died. Alberto Mejia, an 18-year-old Latino, was arrested in connection with the deaths at a residence near 6th Avenue and 15th Street hours after the shooting, police said. Mejia is being held without bail at the North County Correctional Facility in Castaic. His next court appearance is scheduled for Aug. 3 at Los Angeles Municipal Court. Miguel Martinez, a 19-year-old Latino, was fatally shot Wednesday, June 20, in the 1500 block of South 6th Avenue in Arlington Heights, according to Los Angeles County coroner's records. Wilshire Division patrol officers responded to a "shots heard" call. When they arrived, they found Martinez and Daniel Regalado, an 18-year-old Latino, suffering from gunshot wounds, Borihahn said. Alberto Mejia, an 18-year-old Latino, was arrested in connection with the deaths at a residence near 6th Avenue and 15th Street, hours after the shooting, police said. Urbano Ruiz, a 37-year-old Latino, was fatally shot Sunday, April 29, in the 2400 block of West 18th Street in Arlington Heights, according to Los Angeles County coroner's records. The street where Ruiz was shot, from which one of the city’s most notorious gangs took its name many years ago, is largely quiet, said neighbors, who awoke to the gunshots about 2:30 a.m.
Posted Feb. 23, 2011, 1:52 p.m.
Saray Rivas, a 15-year-old Latina, died Monday, Feb. 21, after being shot in the 1300 block of 3rd Avenue in Arlington Heights, according to Los Angeles County coroner's records. Saray was shot in the head, coroner's records show. The Times has contacted investigators to obtain additional details about the case and will post an update as soon as information becomes available. Anyone with information about the teenager's death is asked to contact the Los Angeles Police Department at (877) LAPD-24-7. Tipsters who'd like to remain anonymous can call Crime Stoppers at 800-222-TIPS (800-222-8477).